Succinic acid is an acid present in all living beings, first found in succinium (also called yellow amber), hence its name. The structural formula of succinic acid is HOOC-CH2-CH2-COOH. It is therefore a dicarboxylic acid because it contains two carboxylic groups. 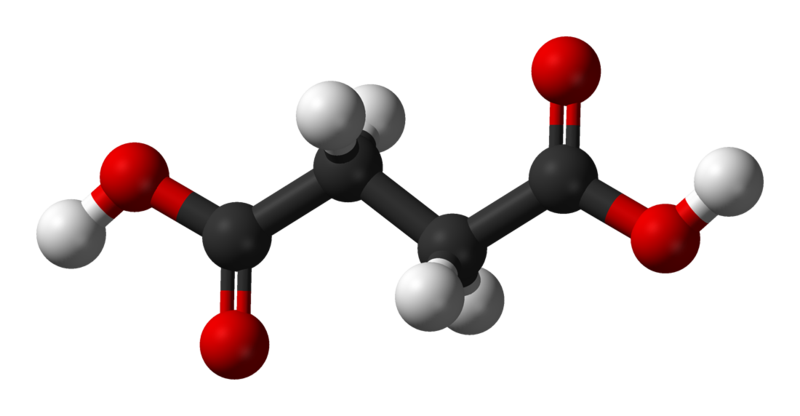 Succinic acid is obtained from the fermentation of sugar and is therefore a component in wine, to which it gives a salty, acid, bitter taste. It is also used as a food supplement or as an excipient.